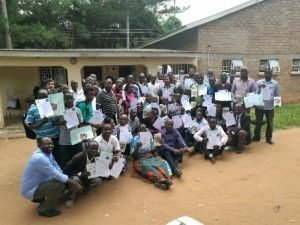 The Climate Justice Fund: Water Futures Programme at the University of Strathclyde has sponsored 50 groundwater experts membership to IAH, to encourage discussion about sustainable groundwater management in Malawi, facilitate international networking, promote leadership and pursue the creation of the IAH Malawi Chapter. Through the Groundwater Division of the MoAIWD, this future Chapter will seek to foster the management, assessment, protection and research of hydrogeology across the country, including the provision of trained hydrogeological expertise and the raising of public awareness. Hopefully this will become a reality very soon and Malawi will be much better placed to share experiences locally and internationally and enhancing the strategic positioning and profile of groundwater within Malawi’s water resources.